The sweetest word to anyone is their name. Especially if they see it in writing! Keep a stack of note cards (personalized if possible, they aren’t expensive) on your desk and as you remember someone’s service, sacrifice, or generosity, write a quick note. It carries tremendous weight with those you lead and serve. The word will get around, your influence as a leader will increase. Typically those you lead can’t see the big picture or vision. But, they can track with you on a small goal for the current week. Mark out three simple forward moving goals and just take five minutes to share it with those that could contribute to its success. They will see you as empowering and inclusive when it comes to the future success of the church. 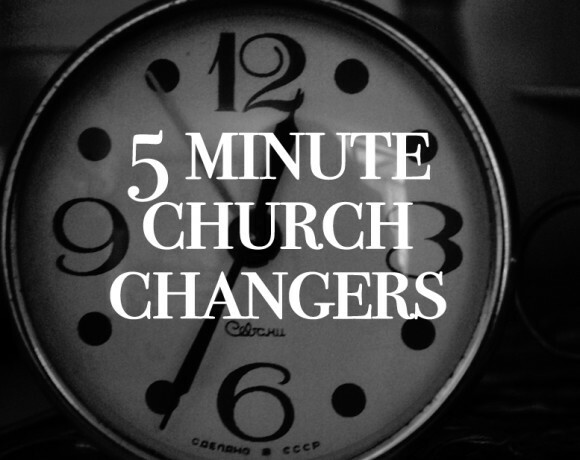 Ok. That s only 15-minutes this week that can drastically change the culture of your church. Do it now, and make it a weekly habit, I promise the returns will be huge! Remember: Always Lead BIG in the small. What a blessing these encouraging steps have been to me. Easy, simple and yet spuring us to go to another level! Awesome. So glad to hear that Jerry!